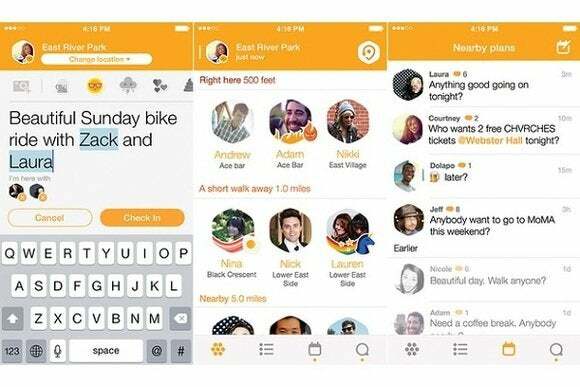 The new Swarm app is available now for iOS and Android. It allows users to check into nearby points of interest and see which other friends are nearby, just like with the existing Foursquare app. One thing that has changed, however, is the “mayorship” system, which previously rewarded Foursquare users for frequently visiting a business. Instead of having a single mayor for each location, Swarm's mayorships will be based on circles of friends, so each location can have multiple mayors. 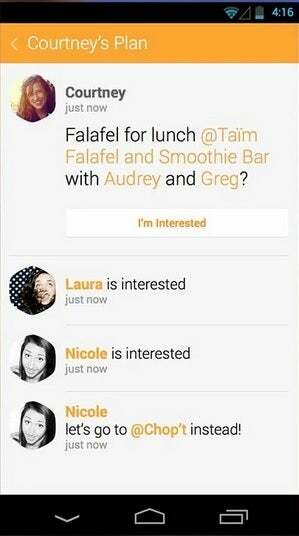 But Swarm offers some new features as well. “Neighborhood sharing” lets friends know when the user is nearby without having to check into a specific location. Users can also create “plans,” allowing friends to coordinate on what they plan to do later. Currently, similar check-in and friend-finding functionality is available through the existing Foursquare app, but that'll change this summer. Foursquare plans to remove check-ins from its main app, which will evolve into a recommendation service for nearby places of interest. In other words, Foursquare will become a more solitary experience, aimed at telling users where they should go to eat, drink or pass the time. But it'll be powered, in part, by the social aspects of Swarm, which is focused on sharing whereabouts with friends. By splitting its app in two, Foursquare is following the “unbundling” trend toward single-purpose social apps, rather than having one app that tries to do everything. Facebook has been leading the way on this front, having bought kept the photo sharing app Instagram and the messaging app WhatsApp as separate services after their respective acquisitions. The strategy is a response to standalone apps such as Line and Snapchat, which have managed to steal time and attention away from larger social networks. In a blog post, Foursquare said many of the “playful” aspects of Swarm, such as mayorships and stickers, are still a work in progress. The company also said that it's still working on a Windows Phone version, which should be ready later this summer. This story, "Foursquare's Swarm becomes the new app for check-ins" was originally published by TechHive.